You know, I look back in my memory banks and try as I might, I just cannot remember The Rocketeer being about a guy from New Zealand. 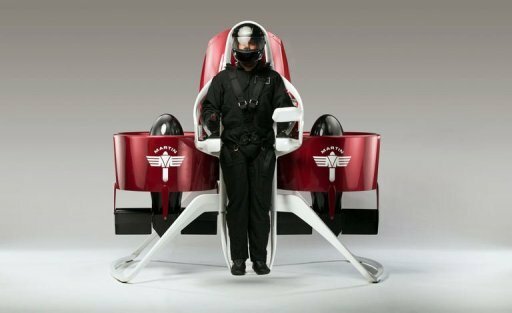 But it looks like that part of the world will be home to jetpacks before any others, apparently, as the New Zealand Civil Aviation Authority have issued an experimental flight permit to Martin Aircraft to allow for manned test flights to take place using their new P12 jetpack device. While this doesn’t necessarily mean the world will be seeing New Zealanders turn their back on cars for more personal transportation, it’s still a pretty huge step towards the world of stereotypical science fiction. Flying cars and hoverboards are more than welcome to get in this as well. “For us it’s a very important step,” said Martin Aircraft chief executive Peter Coker, “because it movies it out of what I call a dream into something which I believe we’re now in a position to commercialize and take forward very quickly.” How quickly? They envision the product will go up for sale at some point next year, though not quite as widespread as some may hope. First, they’ll need to get a few successful test flights under their wings, which will all be performed under strict requirements. They’ll have to take place no more than 20 feet over uninhabited land or 25 feet above water. Once that’s complete, the company plans on creating a specialized version of the P12 for use by the military as well as firefighters and other “first responder” emergency crews. While the military’s involvement was a no-brainer, I like the idea of firefighters and cops getting put back on the “hero” pedestal by being allowed to fly around saving people. The company aims to make these units available for delivery in mid-2014. 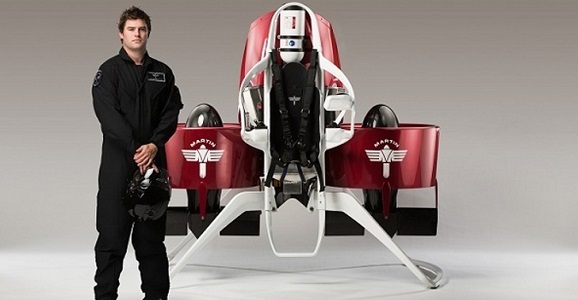 As far as the average Joe consumer’s jetpacking future is concerned, a more generic version of the jetpack could be available to the public as early as 2015, and is expected to cost between $150,000-$250,000, but Coker points out time will probably bring down the costs. As you might expect, the actual design of the jetpack is pretty simple, even if its moving parts have been meticulously designed to work harmoniously with all the other parts. Essentially, you’ve got a standing carbon-fiber frame attached to cylinder-encased propulsion fans. Once the pilot is strapped in — this thing comes with straps, too?!? — he uses two joysticks to control the device. “Changing the position of the jetpack’s ducts has resulted in a quantum leap in performance over the previous prototype, especially in terms of the aircraft’s maneuverability,” Coker explained. It’s been a work-in-progress for over 30 years, when company founder Glenn Martin was first inspired by the shows from his childhood such as Thunderbirds and Lost in Space. Two things are for sure. One, the Martin design sounds so much better and legal than this one, and it’s amazing that these things might become marketable in just a couple of years. Two, they’re going to need to install a breathalyzer right at the factory. Below, you’ll find the video for a successful unmanned test with the jetpack which reached 5,000 feet. Hopefully that isn’t how you have to land the damn thing every time ya wanna fly it! !